Oil and vinegar are the cornerstones of every Italian kitchen. Nearly every dish calls for a drizzle of extra virgin olive oil or a few drops of balsamic vinegar (even gelato!). Step up your favorite food lover’s pantry with this curated collection of boutique extra virgin olive oils that are cold-pressed according to tradition with freshly-harvested olives and balsamic vinegars that are aged to perfection. 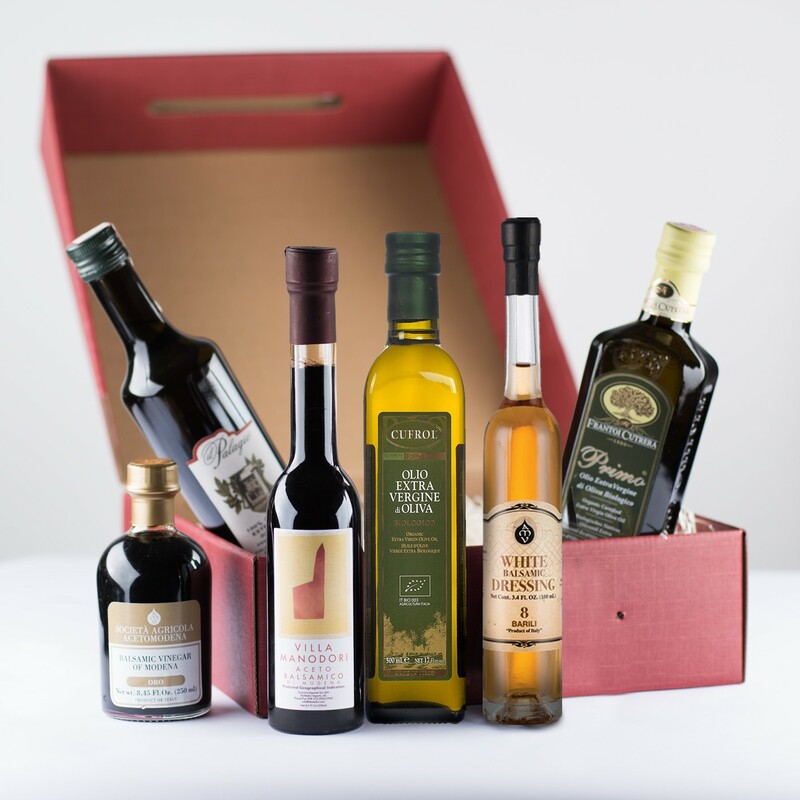 Gift box includes: Balsamic of Modena by Acetomodena (8.45 oz), White Vinegar Condiment by Acetomodena, Primo Organic Extra Virgin Olive Oil by Frantoi Cutrera (16.9 oz), Organic Extra Virgin Olive Oil by Gradassi (16.9 oz), Extra Virgin Olive Oil by Il Palagio (16.9 oz), Artiginale Balsamic by Villa Manodori (8.5 oz), and a signature Eataly gift box.